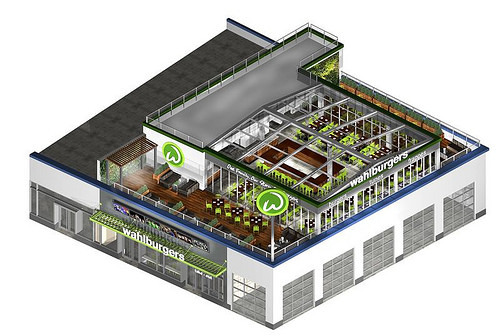 Last week, Wahlburgers released details of the 6,800 square foot franchise restaurant currently under construction in Coney Island and slated to open this summer. 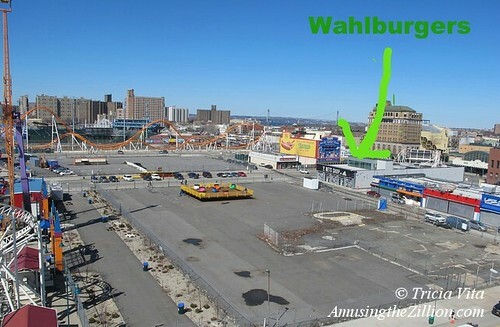 Eater dubbed it “a massive indoor/outdoor extravaganza.” Rooftop patio dining with a retractable glass roof sounds spectacular but it’s a stretch to say Wahlburgers “will overlook Coney Island’s famous boardwalk and beach” as the pr copy claims. 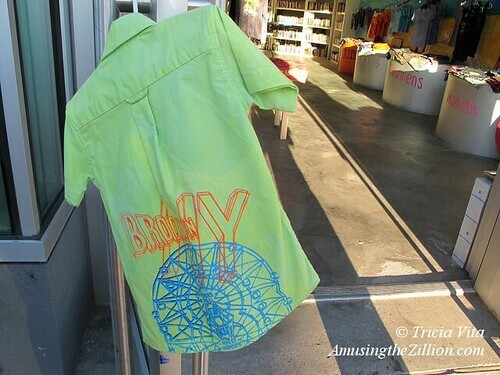 Located in Thor Equities’ retail building on Stillwell Avenue across from Nathan’s, the celebrity burger palace overlooks the Bowery and Thor CEO Joe Sitt’s long-vacant lots. 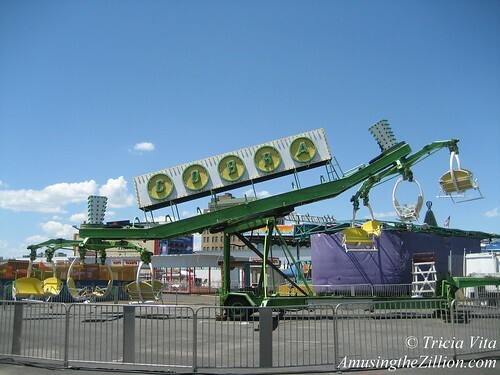 That’s why we’re betting the rumors that began in November and continued this year about attractions coming to those lots for the summer are indeed true. 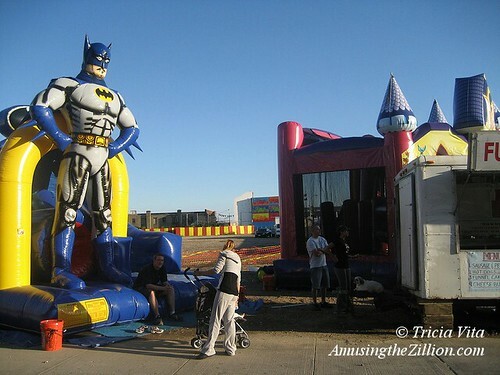 While the DOB has yet to issue permits for a “temporary fair,” the property is being prepped in earnest. 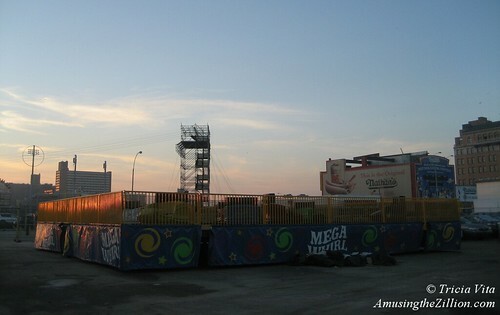 Last week, the MegaWhirl ride, abandoned after it debuted here in 2012 and was damaged by Hurricane Sandy, was being demolished and tossed in a dumpster. Underground electric utilities were installed last month and the Bowery was cleared of concession trailers adjacent to the lot. 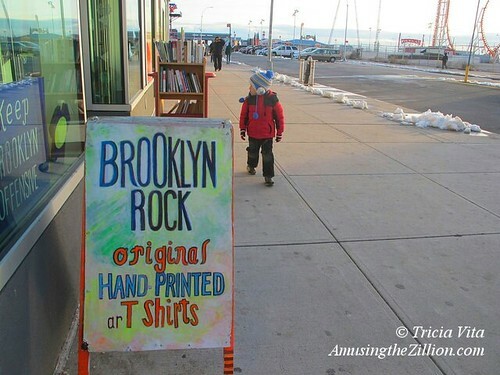 ATZ’s first post back in December about the celebrity burger franchise opening in Coney Island and subsequent updates continue to be as popular as posts about Friday night fireworks! That makes us think it’s going to be a magnet for some of Mark Wahlberg’s 15+ million Facebook fans. 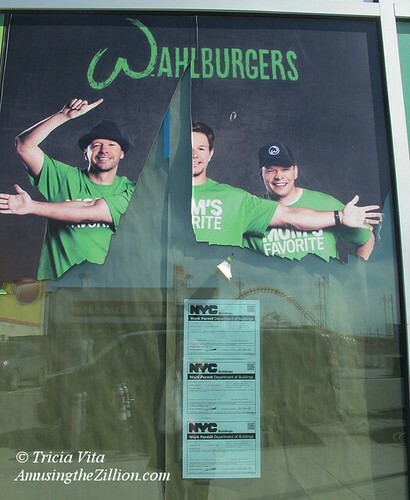 The Wahlburgers restaurants are the backdrop for the A&E TV reality series about Mark, Donnie and Paul Wahlberg’s adventures in the burger business. 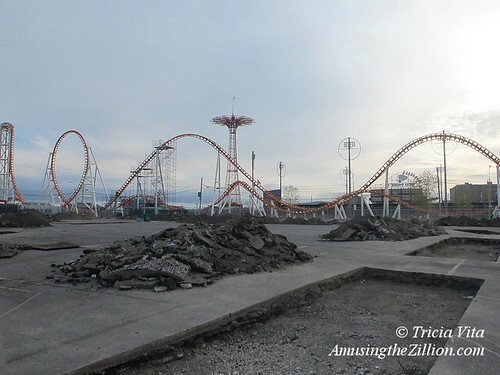 This summer’s opening of the Coney Island location is being scripted into the show. 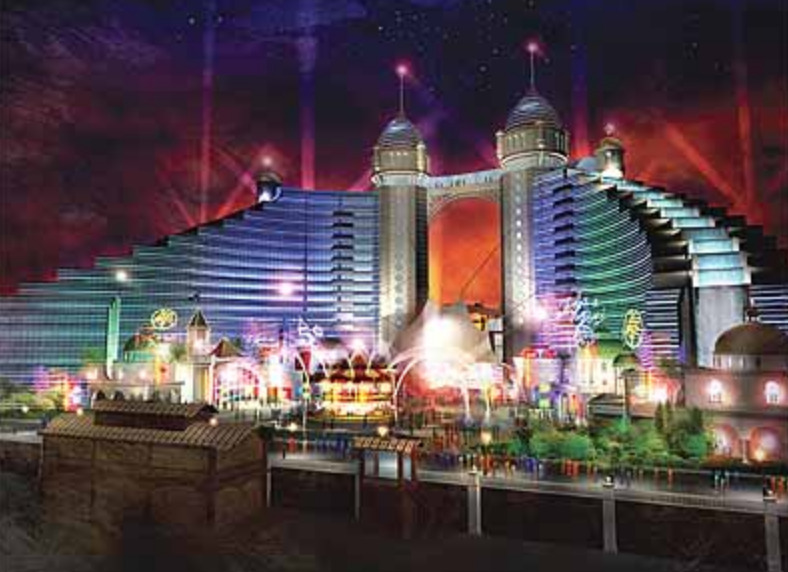 The original opening date of early May has been pushed back to June. 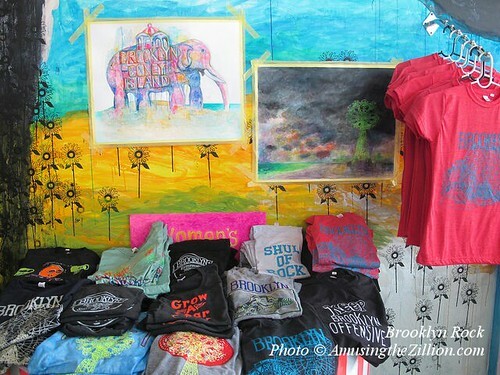 Thor Equities has recruited Jeffrey Deitch, art advisor and former director of the Museum of Contemporary Art (MOCA) in Los Angeles, and food vendors from Brooklyn’s Smorgasburg to help activate one of their long vacant lots in Coney Island. 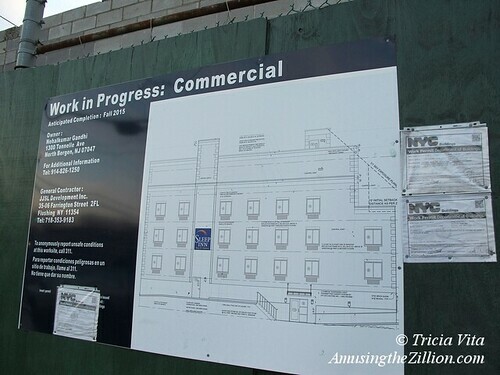 Biederman Redevelopment Ventures (BRV), the consulting firm run by Bryant Park’s Dan Biederman, was hired by Thor to develop events and programming for and manage the lot as well as the one on the east side of Stillwell There will also be a music stage with live performances throughout the summer. 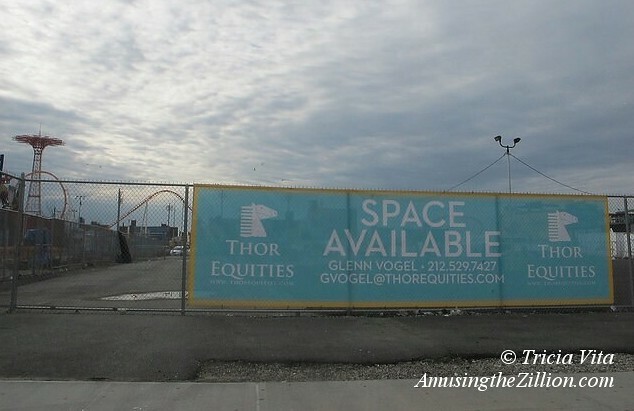 (Thor Equities Recruits Jeffrey Deitch, Dan Biederman & Smorgasburg to Dress Up Vacant Coney Lot, ATZ, April 30, 2015). 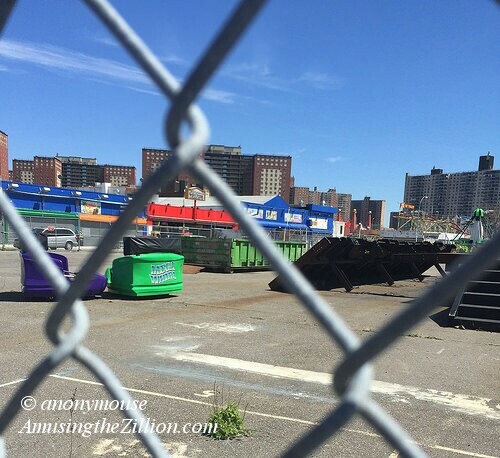 A Sleep Inn Hotel, the Coney Island area’s first new hotel in many decades, is under construction at Stillwell Avenue and Avenue Z, just north of Coney Island Creek. 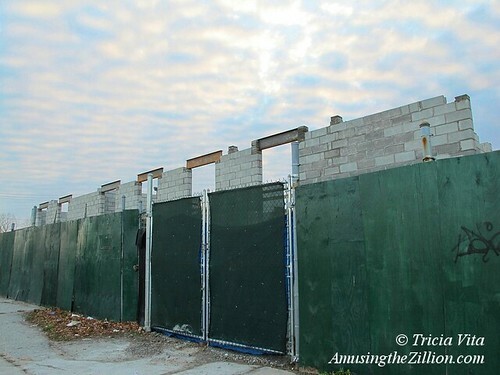 A sign on the construction fence says “Anticipated Completion: Fall 2015.” Mahesh Ratjani, one of the partners in the project, tells ATZ: “We are hoping to have it completed by the end of 2014 or the beginning of 2015.” According to DOB records, a 12,989 square foot, four-story hotel will occupy the 13,000 square foot lot. Sleep Inn is a member of the Choice Hotels Group. Ratjani and his partners own 15 hotels in New York and New Jersey, including the Comfort Inn off the Gowanus Expressway in Brooklyn’s Sunset Park. The vacant lot at 2590 Stillwell Avenue was purchased for $1.9 million in 2007, according to Property Shark. The property is conveniently located off the Cropsey Ave/Coney Island exit of the Belt Parkway. 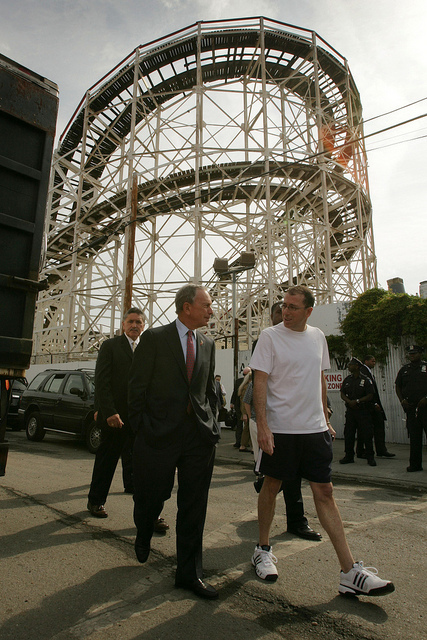 The area is technically on the border of Gravesend and Bath Beach, though frequently identified as part of Coney Island. 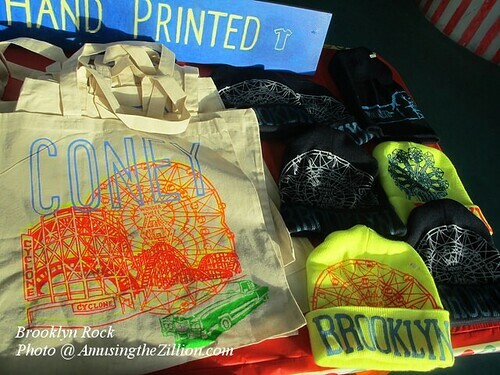 The closest subway stop is Bay 50th, one stop from Coney’s Stillwell Terminal, on the D line. 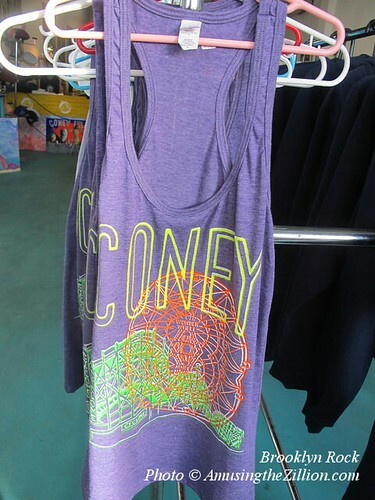 There are currently no hotels in the Coney Island area and it’s been many decades since a new one opened. On Stillwell Avenue at Mermaid, the long-shuttered Terminal Hotel across from Stillwell Terminal was constructed in 1904 and housed a hotel by 1930 and perhaps as early as 1915 when the subway station opened. In the 1940s, it had a popular grill with live music, but by the 1960s and ’70s had deteriorated into a flophouse and was condemned. In 1927, the Half-Moon Hotel opened on the Boardwalk at 29th Street and was managed by the American Hotels Corporation and financed by prominent members of the Coney Island Chamber of Commerce. “The Great Depression killed the Chamber’s dream of greatness and the hotel sat exiled at the West End until the beginning of WW II when it was transformed into a naval hospital,” according to the Coney Island History Project. It later became a geriatric center before being demolished in 1996. 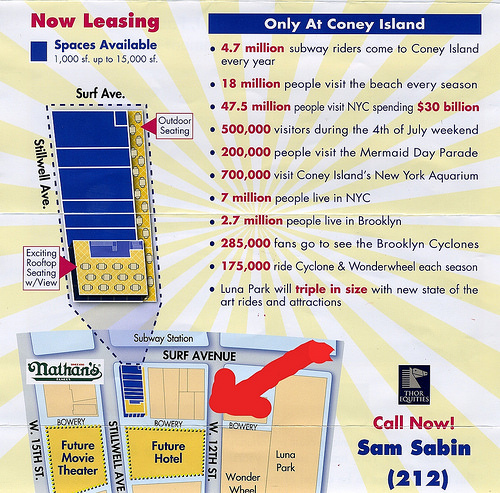 The City’s rezoning of Coney Island included the upzoning of three Thor Equities-owned properties on the south side of Surf Avenue for hotels up to 30 stories. 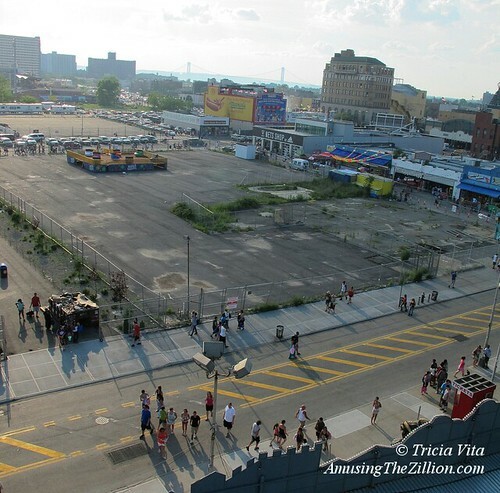 In public hearings, we argued against high rises — including hotels — on the south side Surf, saying it would destroy instead of enhance Coney Island’s economic potential as an amusement and tourism destination. As it turns out, a hotel has yet to be built on Surf Avenue and we can only hope it never will be. 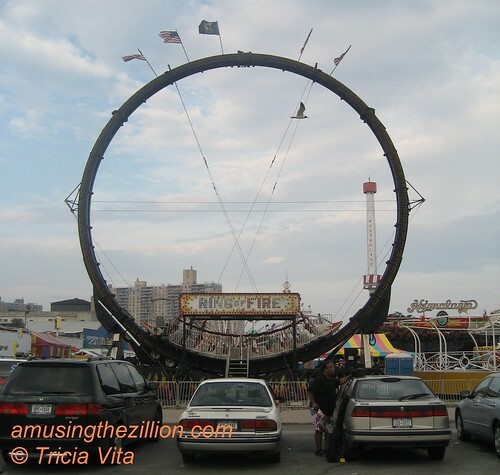 Instead, the Coney Island area’s first new hotel in decades is located in a much more suitable location north of the amusement area with easy access to the Belt Parkway. The new Sleep Inn’s immediate neighbors are two-and three-story residential buildings, an equipment rental company, and Amore Rent-A-Car. 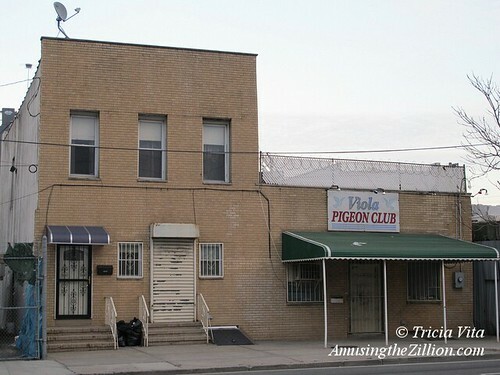 The legendary Viola Pigeon Club, home of a 400-mile contest in which the birds were released in Ohio and flew back to New York, is directly across Stillwell Avenue. 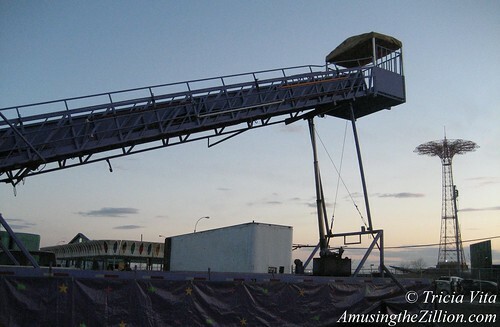 Since Frank Viola’s death in 2007, the race is no longer held, but the club and the story of the “return of the Coney Island homing pigeons” have been the subject of documentary films. 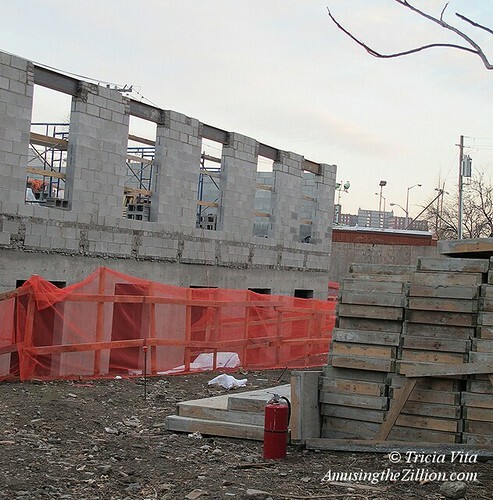 This first report of the new construction, in December 2013, and another posted last spring, have been appearing in our Top Ten Posts over the past week or so. Sleep Inn Coney Island, as the new hotel is called, finally opened 10 days ago. Rates start at $119 per night and include free breakfast, wi-fi, and other amenities.